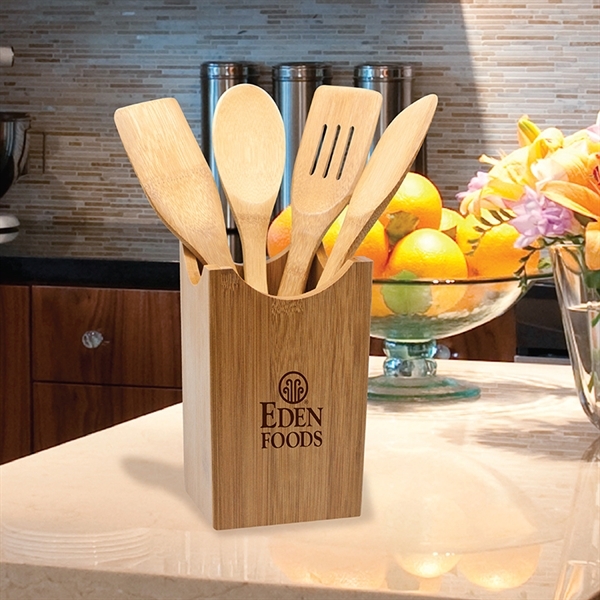 5 piece bamboo kitchen utensil set. The set includes a spatula, slotted spatula, spoon and cornered spoon. Stored in a convenient caddy. Made with eco-friendly bamboo. Best seller. Size: 12 " x 4 1/2 " x 4 1/2 "
Price Includes:One color, one position imprint.